NEW LISTING! 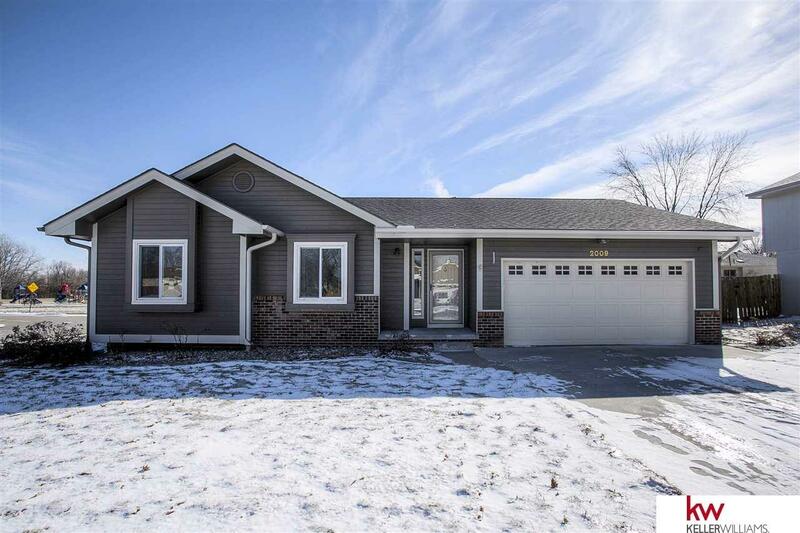 Beautiful move-in ready home in Papillion is waiting for you. Step inside and discover a large gorgeous kitchen with dining area, a pantry and additional cabinets have been added for your convenience. The interior was just repainted. The large living room is highlighted by a classic wood burning fireplace and a vaulted ceiling. The main hallway features a built-in bookcase. The finished large basement is perfect for a family room or a rec room, plus there is a bathroom and 4th non-conforming bedroom with a walk-in closet. From the kitchen window you can watch the kids play at the park and playground. Outside is a level backyard with a patio and a huge 12x16 shed which has electricity and a ceiling fan. Only a few blocks from the Papillion schools. HMS Warranty available. Dont miss out.